For all you folks who need to get that extra fan running. The purple color on the wire allows more current to be passed through the line. It is because the color black absorbs all light thus heating up more and causing less current to flow! hey nice now I need to find a cheap psu some where what are prices like for those things? Just for a slower one to run a couple fans. relay (SPDT) from radioshack (Part#275-0248A) and a spare molex to three pin adapter I had lying around and made it so when the first psu (400w antec) turns on, the second turns on automatically. 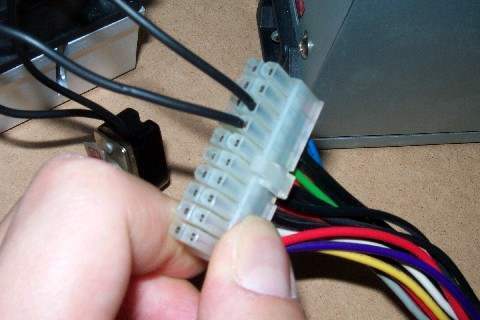 I have another psu (250w) that I use that I juryrigged to stay on, by using a wire. This psu powers the fans on my water-cooling tower (if u've seen the "nuclear cooling tower" bongs at overclockers.com, then u know what I mean). Of course, you can have like a DPDT switch and relay to make it so u can turn it off or on or have it done automatically (like lights with two switches). Etc. Damn winter, you'll get your 2K+ posts in no time!!! $5 bucks for 300W PSUs?!? DAMN! I would've grabbed about 10 of them. Okay, maybe just 5.